It’s no secret that with age comes greater health risks, but this doesn’t mean you can’t live life to the fullest at an older age. The best way to stay healthy is to be in tune with your health and know what you’re up against. For women, osteoporosis is one of those diseases that becomes more of a risk with older age and can hurt your quality of life. This disease affects the skeletal system and causes bones to weaken and become more fragile, which can lead to fractures. These fractures are typically in the wrist, hip and spine. According to the National Osteoporosis Foundation, 54 million Americans have low bone density or osteoporosis and one in two women older than 50 will break a bone due to osteoporosis. Given these statistics, it’s important for women to understand this disease and how to take preventive steps. A DEXA scan, also known as bone mass measurement test, can help with early detection of osteoporosis, which allows you to slow the progression and prevent further bone loss and fractures. How is a DEXA bone density scan performed? Your spine and hips are scanned in about 10-20 minutes. The exam is noninvasive and painless. It uses a very low dose of radiation, even less than the natural radiation you’re exposed to every day without knowing it. All women 65 and older and any postmenopausal women with risk factors. All men 70 and older and any men older than 50 with risk factors. 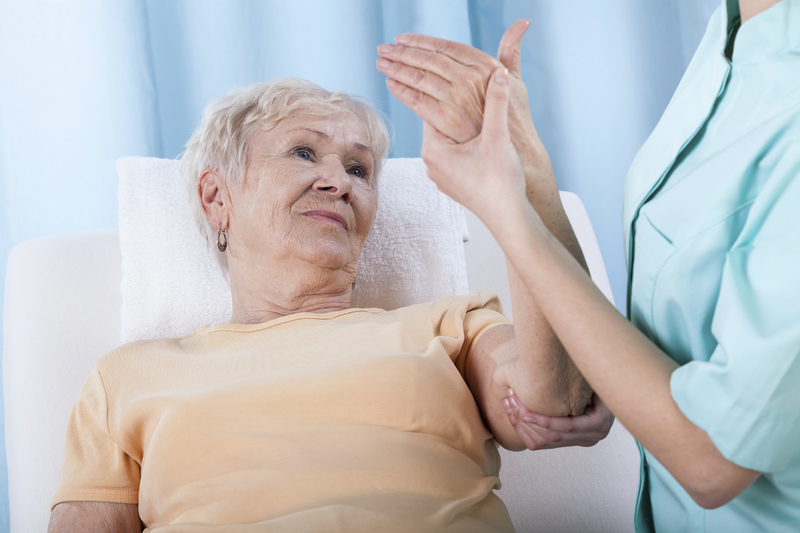 The older you are, the more at-risk you are for osteoporosis. Women, Caucasians and Asians have a greater risk, as well as those with a family history of osteoporosis. Some other risk factors include smoking, heavy alcohol use and the use of steroids for long periods of time. A lack of exercise and low dairy intake can also increase the risk for osteoporosis. Are there any symptoms of osteoporosis? Occasionally, there are symptoms such as a gradual loss of height or a stooped posture, but osteoporosis is often silent until there is a fracture. For more information or to schedule a DEXA bone density scan, please call 317.776.7247.